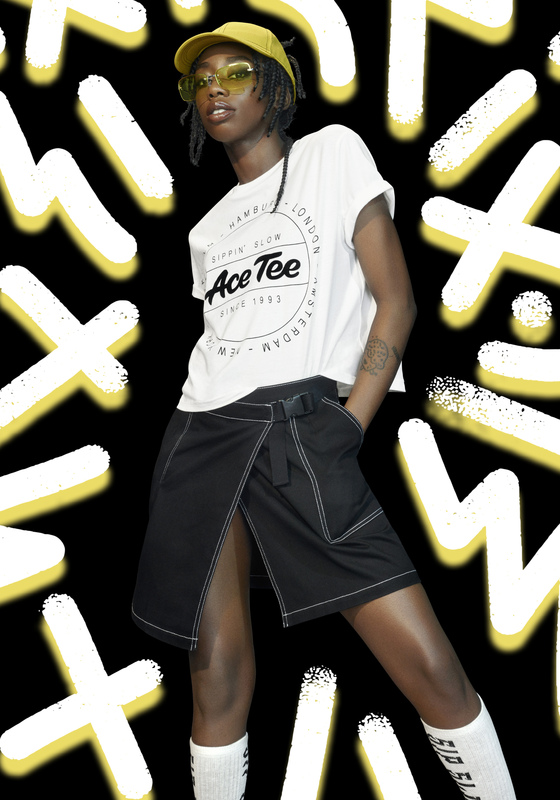 Are you down with Ace Tee? If you’re not familiar with the German Hip-Hop artist you will be soon. Ace Tee gained international recognition with her viral hit “Bist Du Down?” which means “Are You Down?” in German. The song gives a throwback to the chill 90’s era reminicent of baby girls, Aliyah and Brandy. 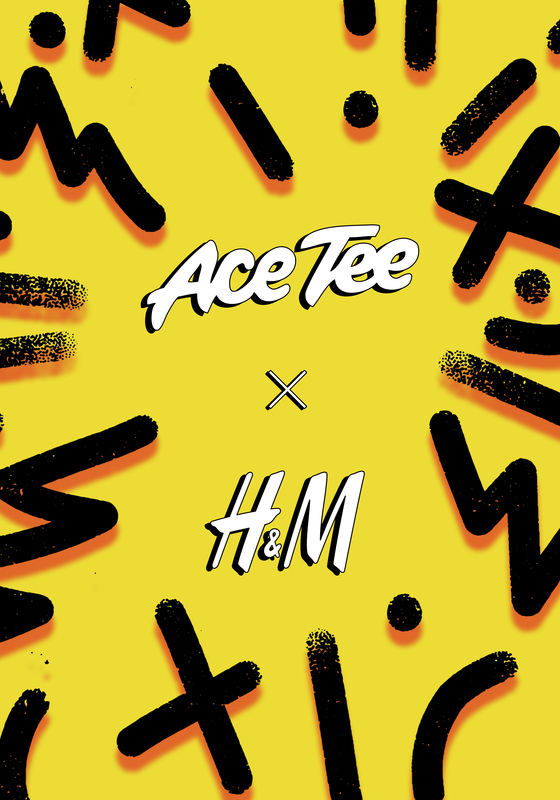 With style that matches her hit song’s vibe, Ace Tee’s collaboration with H&M is set to encompass the same feel. “I am deeply convinced that music and fashion can connect people beyond nationality, gender and age. I am happy if I can achieve the same feeling with my collection”, says Ace Tee. H&M says the collection is inspired by Ace’s personal style and pays homage to the fashion and light-heartedness of the 90’s: streetwear fashion that is feminine and cool at the same time. Ace went with a color palette of black and white combined with bright orange and vibrant yellow to add a pop to the collection. Band t-shirts, track pants, a fitted wrap top and a short kimono are the key pieces in the capsule. “Working together with H&M was such a great experience for me. I love this collection as it reminds me of my idols and the 90’s. There is something for everyone”, says Ace Tee about the collection. The capsule collection will be available on September 7th online at hm.com. Check out some of the collection below.